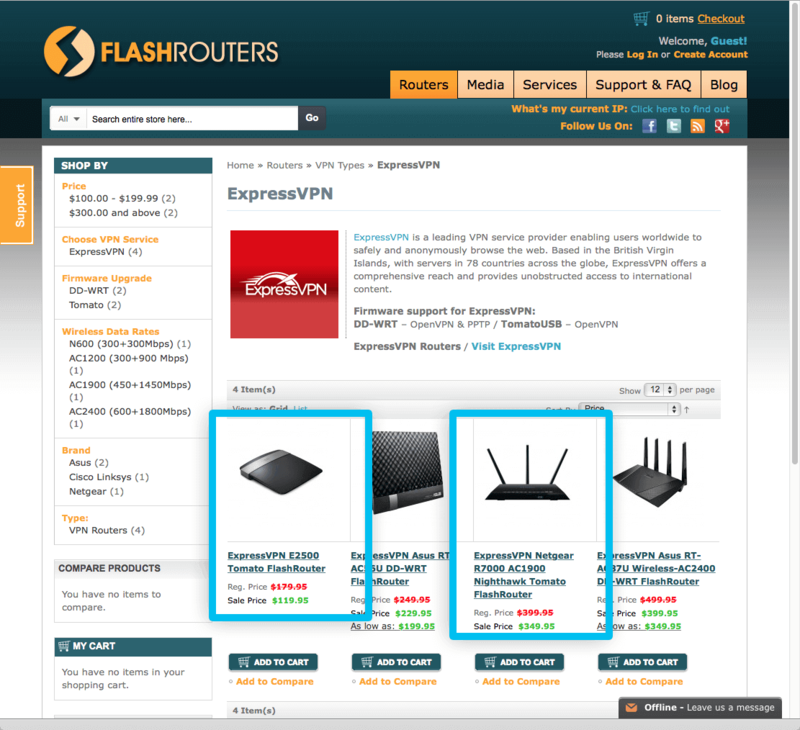 This tutorial guide will show you how to purchase, connect, and configure an ExpressVPN Tomato FlashRouter. 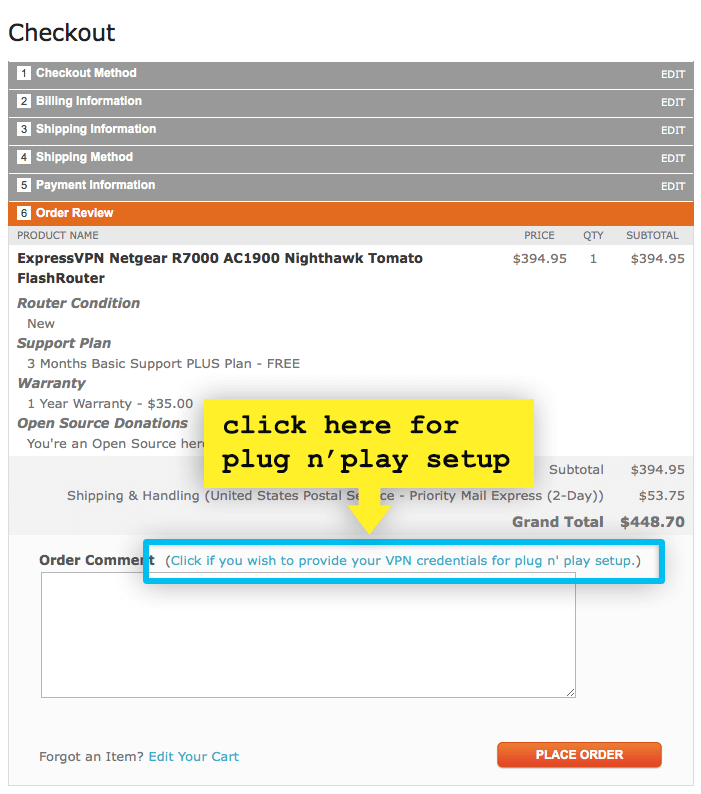 Note: You can purchase a plug-and-play Tomato FlashRouter, which is pre-configured with one of ExpressVPN’s servers. 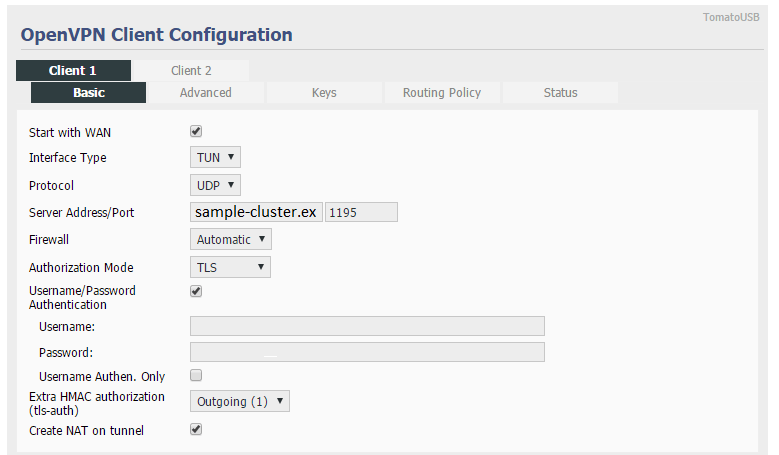 Or you can purchase an unconfigured Tomato FlashRouter and configure it yourself. 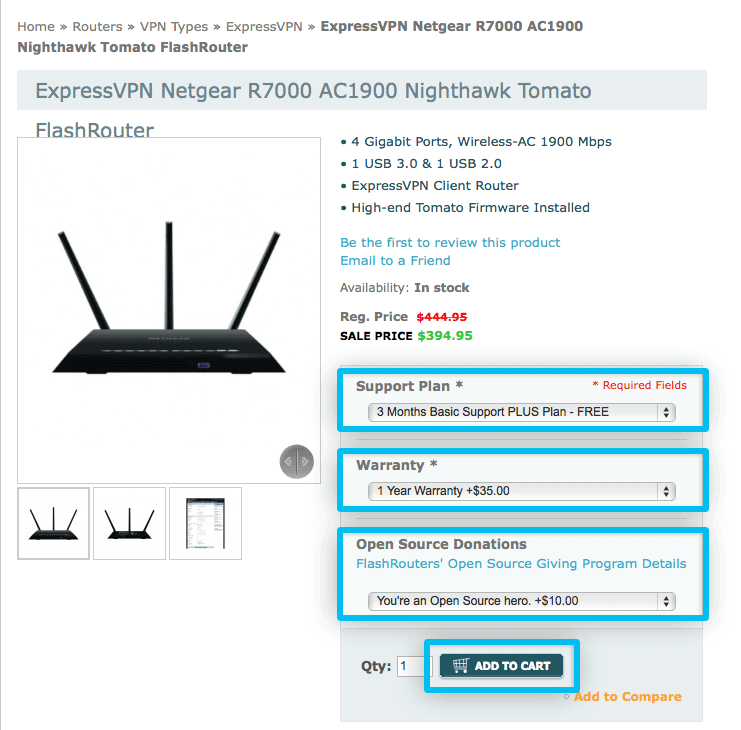 Select one of ExpressVPN’s Tomato FlashRouters and click ADD TO CART. On the next screen, select a Support Plan and Warranty. FYI, all FlashRouters come with 3 months of basic support and a 90-day warranty — FREE. Feeling generous? Select an amount to donate to Open Source Donations. 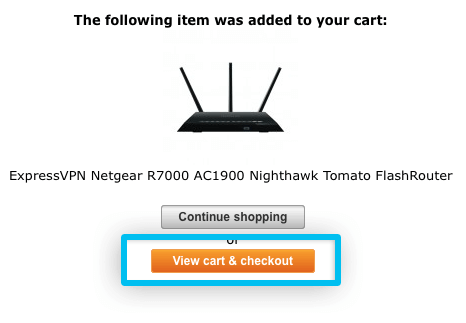 Click View cart & checkout. Now you can review your order. If you’re satisfied, keep scrolling down on the page. Scroll down. If you have a coupon code, enter it in the Discount Codes field. 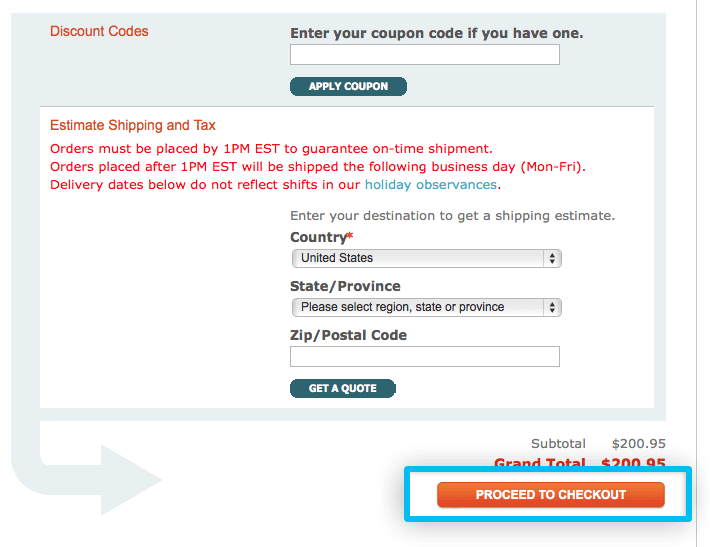 If you want to calculate an estimate of your shipping and tax, follow the steps on the screen. 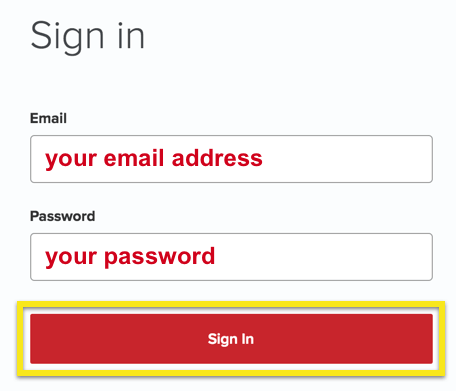 Then click PROCEED TO CHECKOUT. 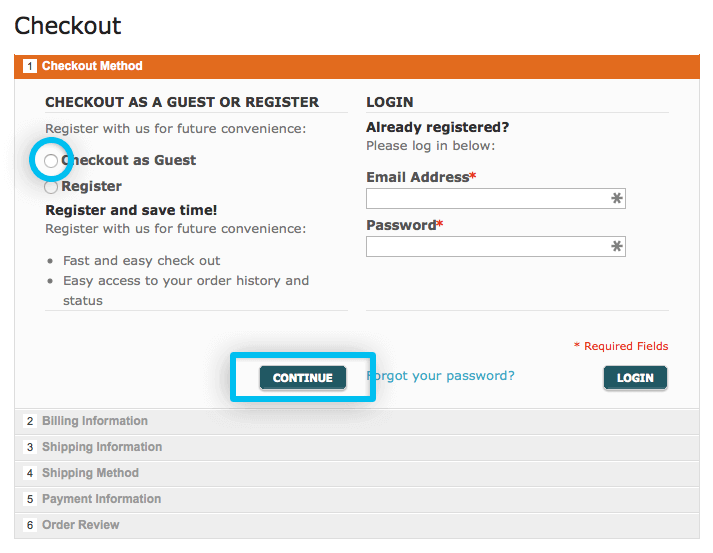 Choose a Checkout Method: Checkout as Guest or Register. For this tutorial, we are going to select Checkout as Guest. Click CONTINUE. Fill out your Billing Information, Shipping Address, Shipment Method, and Payment Information (credit card or PayPal). You will then arrive at the Order Review. Make sure your order details are correct. Click the link next to Order Comment. When you’re finished filling everything out, click PLACE ORDER. 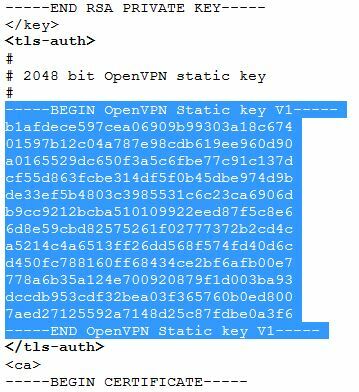 Note: If you do not want your FlashRouter to come pre-configured with an ExpressVPN server on it, you can skip filling out the Order Comment. 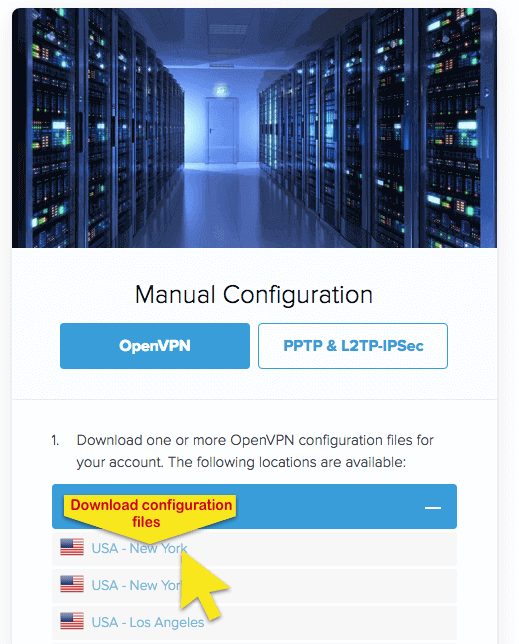 Detailed instructions for setting up a VPN server will be included in the box, or you can refer to our tutorials for OpenVPN setup or PPTP setup for Tomato. 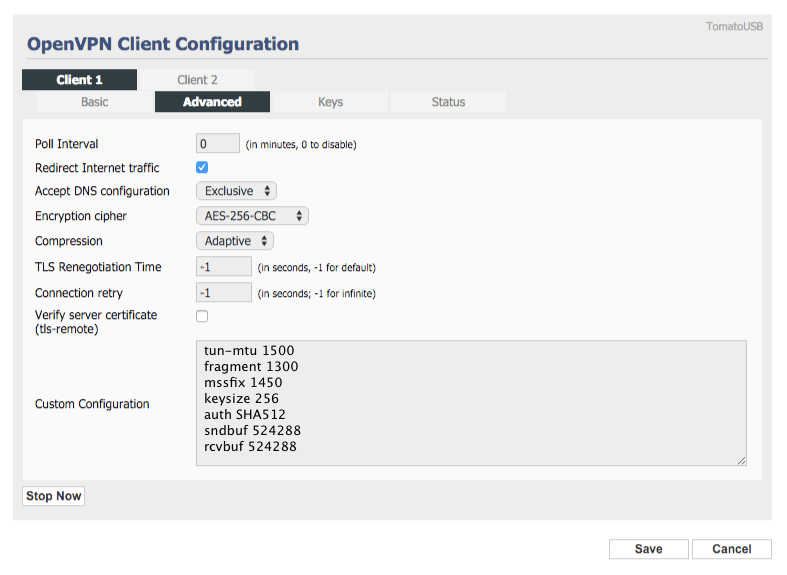 Click on Manual Config on the left side of the screen and then select OpenVPN on the right. 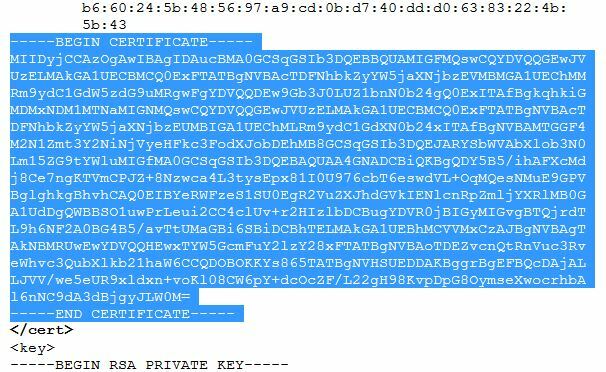 Download and save the .ovpn file(s) or locations (e.g. Los Angeles, New York, etc.) that you wish to connect to. In your browser, go to your router’s control panel by typing your Router IP Address in the address bar. 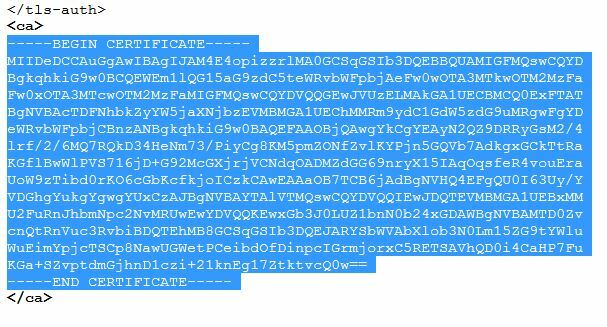 The default address is 192.168.11.1. If this doesn’t work, please refer to the slip of paper that came in the box with your Tomato router. 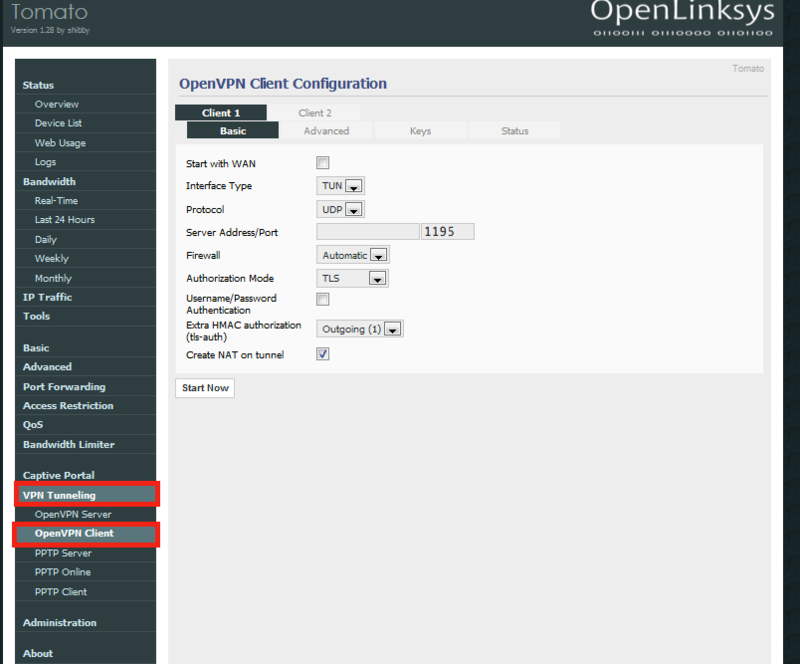 In your router’s control panel, click on the VPN Tunneling tab, and then select OpenVPN Client.